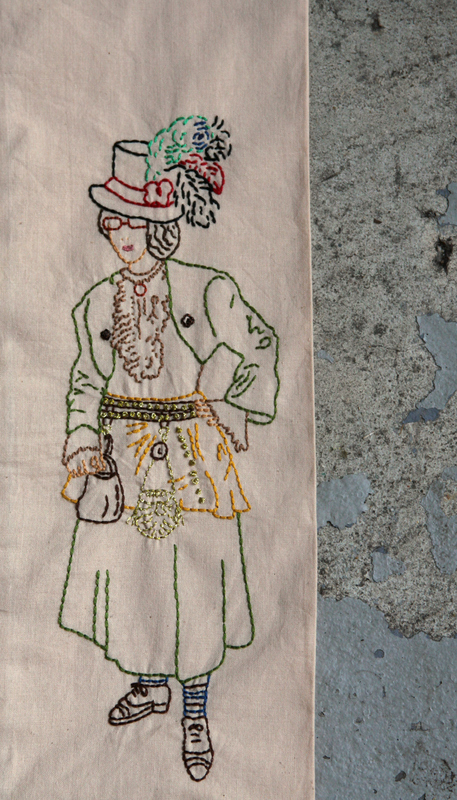 Two of my great-aunts have supported my blog and are accomplished sewers/crafters themselves. Over the years, their projects have included cross-stitch, dolls, scrapbooking, costumes, and crochet. I have received a number of gifts from them, from handmade items (like the hand warmers below, teddy bears, and dolls) to family heirlooms. I wanted to show my appreciation, but what do you give someone who can make things with more skill? –especially when I didn’t want to send something that would just collect dust. 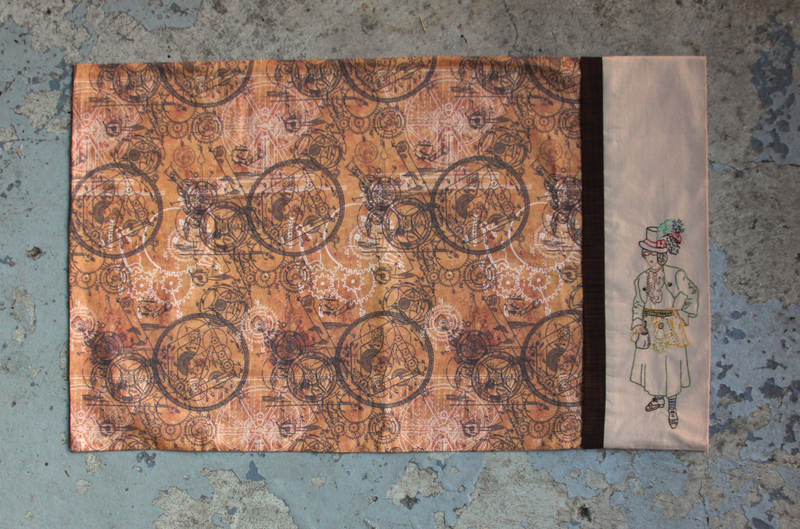 For one of the two aunts, I decided on a pillowcase, but not just any pillowcase… an embroidered steampunk pillowcase! My aunts have attended steampunk events the past few years. Since I have no experience with steampunk and a pretty fluid concept of history, I didn’t want to make a mistake and include items from different decades/centuries that didn’t make sense together. Then it dawned on me: I could embroider an image of my aunt in the costume she made! The pillowcase even has French seams! I used this super simple tutorial. The second of these two great-aunts makes incredible scrapbooks. 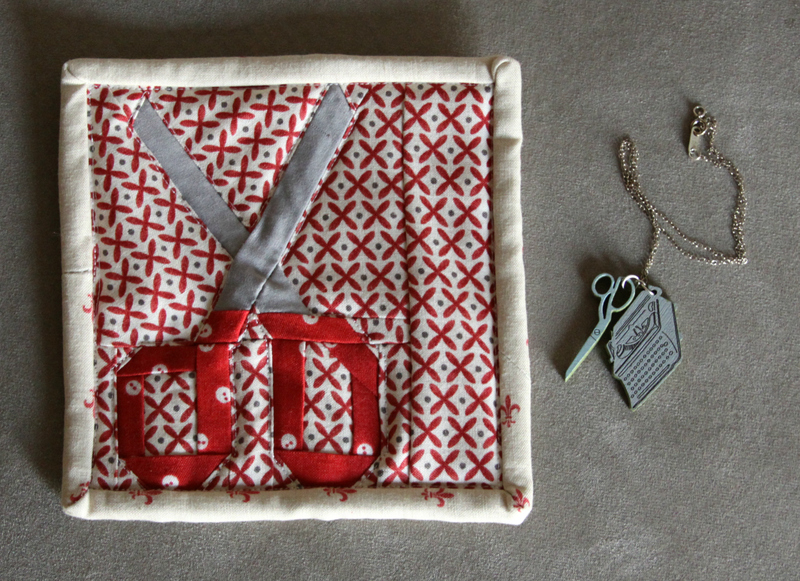 For her, I made a scissors-themed mug rug. The block was inspired by the one in the book Patchwork 318 (see a similar block here), although I had to make my own pattern since the book is unfortunately no longer in print. Also included in the package was a cute necklace I bought at a craft fair in D.C. called Crafty Bastards. The chain is tiny, but I couldn’t resist. Categories: Embroidery, Other Sewing | Tags: binoculars, bristol renaissance faire, captain, chicago, costume, easy pillowcase, ecru, embroidered pillowcase, embroidery, embroidery floss, fabric, flying machine, hand warmers, hipster, lady leontine, liberty, liberty of london, mockup, mug rug, mugrug, patchwork 318, patchwork 318 book, photography, photography 101, pillowcase, pillowcase tutorial, quilt block, quilting treasures, ren faire, renaissance fair, renaissance faire, renfair, renfaire, scissors, scissors quilt block, scrapbook, scrapbooking, sew, sewing, sewing machine, simple pillowcase, steampunk, steampunk costume, steampunk design, steampunk embroidery design, steampunk embroidery pattern, steampunk pillow, steampunk pillowcase, time travel, time traveler, umbrella, victorian, victorian dream, wisconsin | Permalink. Wow! 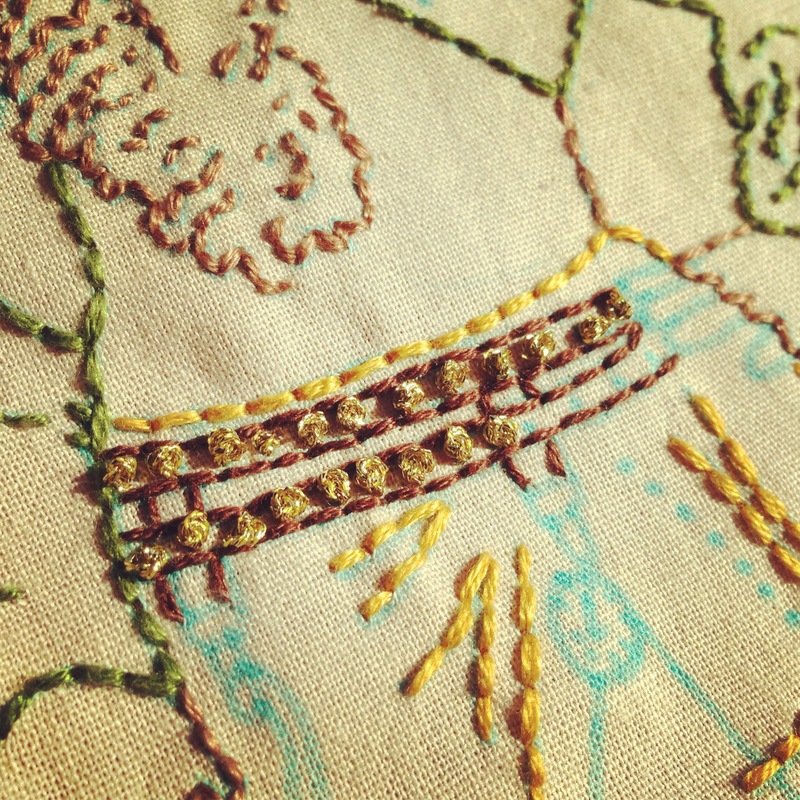 your steampunk embroidery is so cool!! Your aunt would be so pleased to receive a stitched portrait of her. The scissors mug rug is so fun too. 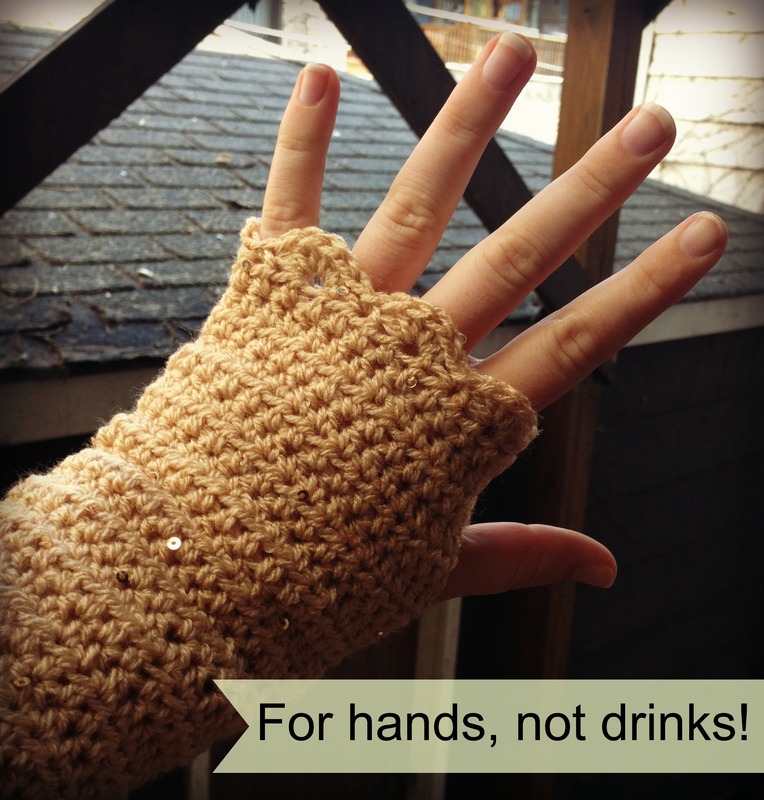 Fingerless gloves are great for cold crafting days, too funny that they came with cutouts showing they weren’t for beer!! Ps.Thanks for the awesome comment you left on my blog about my Happy As a Clam Quilt!! Thank you! By the way, it’s not often I see a sewn project online anymore and think, “That’s entirely new, creative, and original!” I realized I was holding my breath as I scrolled through the photos!